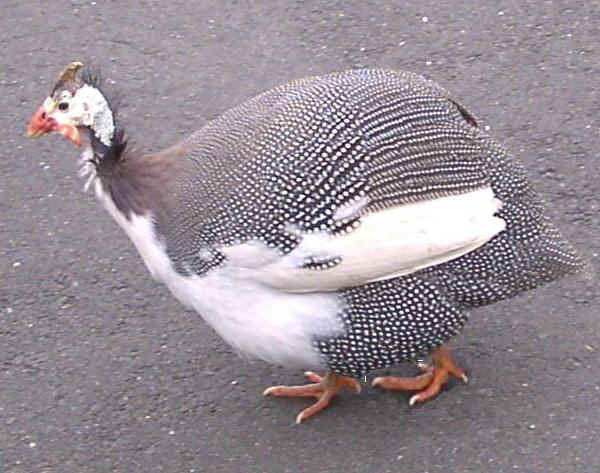 Guinea-fowls coming from northern Italy. It is extinct, but it is going to be reconstituted. In the USA it is very common and it is reared quite frequently. Mean weight: 1,8 - 2,0 kg. Irregularly pied plumage, white on the abdomen, breast, remex and head.